How can a moon have an ever-changing face? Imagine an inhabitated planet like ours with a moon of the same projected size in the sky. The moon has visible structures of colors or darker and lighter areas. Every evening when the moon gets visible in the sky, it's surface changed in at least 1/4 of the visible area. It didn't just rotate, no-one on this planet has ever seen the same image of the moon twice in their life. How is it possible that the structure or pattern on the surface of a moon changes constantly while the planet is stable enough to support intelligent life? Edit due to so many answers requiring an atmosphere to work: The moon can have an atmosphere, but the changing patterns must be on a planetary (or moony?) scale and look otherworldly. Simple clouds floating around are too similar to what the natives see every day on their home planet. Giant stoms like on Jupiter are ok, but they have the tendency to repeat their patterns. Or, more accurately, more massive. You'd have to move its orbit out a bit to prevent more brutal tides on the planet, but make it massive enough to hold an atmosphere of its own. Make that atmosphere out of denser gases, ones that can be held with a more tenuous grip than our own, and, ideally, ones that can be coloured and have interesting fluid dynamics. Dinitrogen tetroxide, maybe. With shifting cloud patterns (doubtless very lethal but very pretty), maybe from core heating, you get a relatively rapidly shifting lunar appearance without having to make the moon out of anything implausible. Edit: Another option - if you're already allowing for an active core for additional heating (and an extra swirly atmosphere), you could also have volcanism. Nothing like a man in the moon with acne! Because you've now allowed for an atmosphere, we can actually design how our aurorae will appear. Atmospheric composition determines the color of the aurorae as those high-energy ions interact with the various gases involved. Atomic oxygen produces red, orange, or green light depending on the amount of energy it becomes excited by (generally green light at lower altitudes, more-so ruddy light at higher altitudes in Earth's specific atmosphere). At much lower altitudes, atomic oxygen (again, specific to Earth's atmosphere) becomes less common (atomic oxygen is produced when diatomic oxygen drifts into the upper stratosphere and is broken by UV radiation); nitrogen instead can be used and excited: nitrogen absorbing energy will produce blue light, while nitrogen losing energy (after having gained excess) will produce red light. Aurorae manifest in curtains descending into the atmosphere, where atmospheric composition, descending into the atmosphere, changes as well. This results in regions where the colors mix: pink, a mixture of red and green light; and yellow, a mixture of green and red (greater intensity followed by lesser intensity). The magnetosphere of Earth is kind of weak. It manages to nudge only a small fraction of solar-charged particles to collide with the atmosphere. A stronger field will affect particle trajectories more, meaning more collisions with the atmosphere and more lights. Most of the particles flying off the Sun (besides neutrinos, I think) are electrons, which are negative in charge. If geomagnetic north sits at the north pole, then the aurorae will be stronger in the northern hemisphere, although, after some degree of intensity, this distinction may no longer matter as particles bombard most of the atmospheric surface pretty uniformly, in the sense of whether any particular region of atmosphere is exposed naked and non-bombarded. The south pole will attract the remaining positively-charged particles--protons and alpha particles--however, they are lesser in their abundances. Withal, the north pole would be "brighter," or more-so populated with aurorae than the south pole, however, ideally the aurorae will span the whole moon, just being brighter in those regions. Onward. A thicker, more massive atmosphere in tandem with a weaker gravitational pull is ideal for maximal aurorae activity. The weaker gravity will extend the atmosphere further from the moon's surface. The volumes of atmosphere where the solar-charged particles may interact will be extended under weaker gravity (the atmosphere will be taller). Our atmosphere may allow an observer to see the surface. Ideally, we want our aurorae to be consistent and it turns out that solar activity itself is pretty consistent and unvarying. If the surface is ever visible through the swathes of folding, shaping, shifting, entombing, iridescent ribbons, then we must make it indistinct. A volcanic past could achieve this. A surface largely of basaltic and obsidian-like rock could probably accomplish this. Now, aurorae typically follow magnetic field lines of the magnetosphere. Magnetosphere structures vary depending on a multitude of factors, such as the distance from the sun, the intensity of solar winds, among others. Magnetic geometry is not quite that simple, however. The Aurorae we should expect shouldn't fall into predictable routines, though, just to be safe, let's just offset it from its rotational axis and center of mass and make it do other weird stuff. Also, let's assume that our inhabited world also has a magnetosphere (a safe assumption?) of different, lesser strength and perhaps offset to another angle which isn't perpendicular to the equatorial (also a safe assumption that the moon orbits near the equatorial?). The planet's and the moon's magnetospheres will mesh and interact with one another, possibly in a chaotic fashion, which will certainly help the chaotic appearance of our moon's aurorae. In essence, we are taking advantage of the dynamic state of our planet-moon system to mesh and twist the involved electromagnetic geometry as much as possible. A small moon with a relatively thick atmosphere (perhaps the atmospheric mass of Earth's) perhaps comprised of oxygen, nitrogen, and carbon dioxide, with a basaltic surface of supremely dark, perhaps sooty-like rock and regolith, and an immense, offset, dislodged, and powerful magnetosphere responsible for chaotic bands of aurorae across its photosphere. Meteor impacts, solar winds, relative position to planet and sun. Meteor impacts can form large mountain waves which take for months to get molten down while still changing their shape every day. They could also cause swirls and other uneven textures over the moon surface. Although these swirls would mostly be caused by solar winds. Another thing to consider is that the relative position between planet and sun will cause the overall flow direction to change, as would meteor impacts. Now these are just examples but I hope at least one of them can come to use. Those of us old enough to remember the 1970s remember mood rings. While such chemicals are unlikely as natural deposits, it is fairly easy to imagine that some flowering plants could incorporate such as a form of sexual attraction or such-like. No earth-like plants exist without the benefit of atmosphere, but perhaps an different design of plant forms could exist in thin carbon-dioxide atmosphere that may be compatible with your story. A hard-vacuum is likely to make significant plant-like coverage impossible. Any high-contrast vegetation that has a short lifespan would perhaps be sufficient, esp. competing forms with different reflectance characteristics. Pluto's surface is composed of more than 98 percent solid nitrogen, with traces of methane and carbon monoxide. The face of Pluto oriented toward Charon contains more solid methane, whereas the opposite face contains more nitrogen and solid carbon monoxide. Distribution of volatile ices is thought to be season-dependent and influenced more by solar insolation and topography than subsurface processes. The surface pressure of the atmosphere of Pluto, measured by New Horizons in 2015, is about 1 Pa (10 μbar), roughly 100,000 times less than Earth's atmospheric pressure. Some satellites in LEO face similar atmospheric pressures and need reboosting every then. Bottom line being: that's what objects in space around us face. So for all practical purposes Pluto's surface is exposed to a vacuum. Standing naked on it wouldn't be much different from being naked on Earth's orbit. Oceans of nonlinear chemical oscillator compound! Imagine that there`s an ocean on the moon that is filled to the brim with e.g. malonic acid and potassium bromate. That would yield literal chaotic color patterns floating both on its surface and all the way down to the seabed. This is called the Belousov–Zhabotinsky reaction. All weather changes, including the amount of sunlight absorbed, the surface waves, the underwater currents (well, technically it`s not water, but whatever), the winds, the evaporation, the volcanic activity — everything of the sort would add to the total randomness and uniqueness of the pattern. Here`s a video of it oscillating in a Petri dish. And here`s another one. Your planet is tidally locked and it's moon is made of something with a low melting point. This means that it's eternal twilight on the narrow band of habitable terrain on your planet, and that the day is marked by the ascent of the moon, which, continually melted by the sun and frozen by the planet's shadow, changes each day. Long ago an intelligent species found this moon and made plans to inhabit it. They created a network of tunnels all across the planet just below its surface. They planted the seeds of life and prepared to begin settling, but for some reason, they never did. So the moon was left, carved tunnels beneath its surface with the beginnings of life sprouting. Fast forward a few thousand years to today, and the moon is buzzing with life--but that life all lives underground. A specific creature, the Mitter, has thrived on the underground flora and fauna. They are a fast moving species that is nomadic by nature, constantly moving to different places in different patterns every day. However, when they move, they let off an abundance of benign chemicals that rise to the surface. These chemicals glow when in contact with the outside air--glowing a slightly different hue for each Mitter. With the abundance of the creatures and their unusual travel patterns, the planet appears to glow in ever changing shades and hues. Perhaps the Mitters' chemicals glow different colors depending on the time of season so the moon will go through phases of colors throughout the year? A watery body, such as Enceladus (maybe Ceres as long as it has an icy core), orbits as a moon. This moon could have a very eccentric orbit, causing tidal forced to act upon it, causing cryo-volcanism. these cryovolcanos can cover the surface with various chemicals and minerals (water, salty brine, methane, ethane, or other organics) in an ever changing pattern. The cracking and shifting of the fragile surface would also aid in the changing surface patterns. The "no atmosphere" requirement makes this especially tough because it means we're limited to solid materials at the surface. Any liquid would evaporate in the near-perfect vacuum, and any appreciable amount of gas would be, well, an atmosphere. You say the moon hasn't rotated, so that leads me to assume it is tidally locked. My suggestion would be a very slow cyclical chemical reaction which occurs in the moon's crust at the surface, similar to the iodine clock reaction. I'm imagining bands of light or color slowly propagating across the surface of the moon, sort of like the Belousov–Zhabotinsky reaction, taking a few hours to travel the full diameter of the moon's disc. This reaction could be catalyzed by the sunlight hitting the surface of the moon as it faces away from the planet, then continue through the moon's "night", where it is visible from the surface of the parent planet. This setup could make the moon potentially livable (not a volcanic mess like Io) while avoiding any surface liquids or gases. That solar system could be experiencing a phenomenon like the late heavy bombardment: the moon is constantly hit by meteorites, so that it is continuously shaped by these impacts. 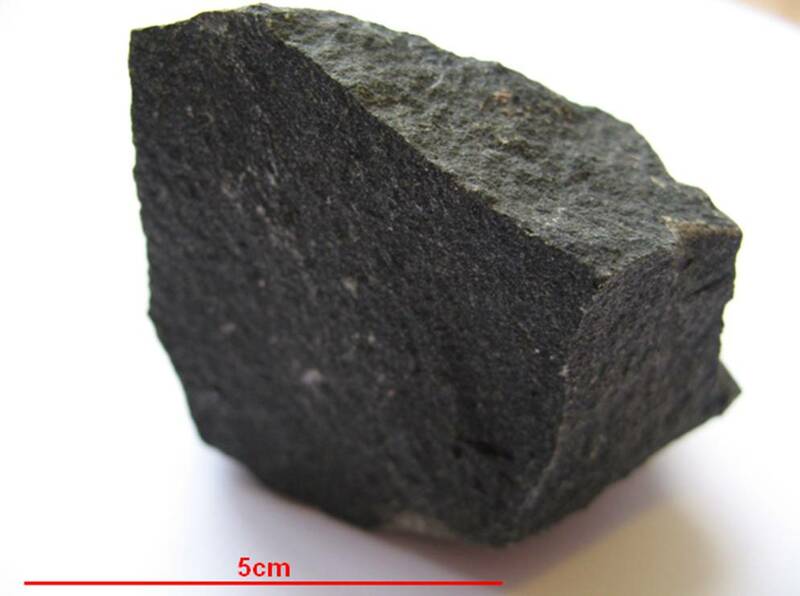 The problem is that these meteorites must be very frequent (say in the order of the dozen of impacts in a day), but quite small - in the range of 10-20 meters - in order not to cause damage when they fall onto the main planet, burning in its atmosphere. In this case probably you should somehow justify the lack of bigger asteroids. You could also point that the moon is of recent formation (maybe captured by the gravity of the planet), which implies its core is still active and gives origin to some vulcanic activity that shapes its surface (but in this case the changes would be slower and the surface of the moon wouldn't change a lot in the span of some days). Possibly there could be intelligence of some sort on the moon and their activities can make a big visual change in the appearance of large sections of the moon during short periods. Possibly they are artists trying out various "paint" patterns to see which make the moon look best. Perhaps they move countless millions of large vehicles of various colors around on the moon, arranging them in various patterns as part of some sort of "dance". Maybe they are trying to send a message to the natives of the planet and thus making an ever changing series of patterns on the moon. A century or so ago an astronomer believed that some tiny changes of color he observed on the moon were the results of vast hordes of insects moving around. So possibly on your moon thick areas of vegetation spring up, changing the color of vast regions, and then vast wandering hordes of insects travel toward them, changing the face of the moon as they move. When the insects arrive at the forest or meadow or swamp their color mingles with the color of the plants and changes the color of the region as seen from the planet. So the insects eat all the vegetation in the region, changing its color, and leave their wastes (containing many seeds) behind to fertilize the soil. The insects move on, searching for another area of vegetation, and the area is now a different color, barren of vegetation until the seeds sprout and start to grow. Eventually the plants become thick enough to change the color of the region back to vegetation colored, then the region retains that color until the same or a different horde of insects arrives to eat the vegetation. Of course it seem rather doubtful that a planet small enough to be habitable would have a moon large enough to be habitable for at least some types of life. That would make them seem a lot more like a double planet than like a planet and its moon. Of course the intelligent beings on the moon don't have to be living beings; they could be machines. Or the two worlds could both be habitable planets orbiting their star if their orbits are a lot closer to each other than any planetary orbits in our solar system, so that when the planets pass closest to each other the natives of one can see surface features on the other. There is actually a known solar system where planets in the habitable zone of their star do sometimes orbit close enough for someone on one of them to see surface features on the other - TRAPPIST-1. The distance between the orbits of TRAPPIST-1b and TRAPPIST-1c is only 1.6 times the distance between the Earth and the Moon. The planets should appear prominently in each other's skies, in some cases appearing several times larger than the Moon appears from Earth. A year on the closest planet passes in only 1.5 Earth days, while the seventh planet's year passes in only 18.8 days. Or maybe the "planet" and "moon" are actually both moons that orbit a gas giant planet. Your "planet" could actually be a giant, Earth sized habitable moon, and the "moon" would orbit closer to the gas giant. Sometimes your "planet" and the inner moon would be almost on opposite sides of the gas giant and the inner moon wouldn't look big enough for details to be visible. But at intervals, probably every few days, the inner moon would pass close to the outer habitable moon and the natives of the habitable moon could see details of the surface of the inner moon and note the changes (and only in the parts of the moon that were lit by their star) . If the inner moon orbits close enough to the gas giant the tidal heating should make the inner moon hyper volcanic like Io, the innermost Galilean moon of Jupiter. Various volcanoes might erupt often, spewing out vast amounts of lava of various colors to constantly resurface the inner moon. So each time that details of the inner moon were visible the surface patterns would be at least slightly different. The problem with this is that the clouds and weather patterns on the gas giant planet would be visible all the time and would also change, thus possibly distracting the natives of the habitable moon from the show on the inner moon. Possibly the moon in your story could suffer from tidal heating and constant resurfacing if it orbited a habitable planet in the right way. It would probably have to have an eccentric orbit which made it get noticeably farther and closer to the planet at various points in its orbit, and thus the patterns on its surface would only be visible when the moon was closer to the planet (and only in the parts of the moon that were lit by their star). Possibly someone here can calculate if it is possible for a habitable planet to have a presumably recently captured moon with enough tidal heating to be constantly resurfacing itself. An alien race has covered the planet, or whatever percentage you see fit with a giant TV screen. Maybe they double as solar panels somehow. Now they can literally change any part of the visible surface at whim. Just wait till they spam you with moon sized commericials... muhhahahahaha! There are many options what is its purpose then. It could be a hyperspace relay, where the surface features are related to how hyperspace works, and massive changes are result of tuning to different targets locations or "hyperspace weather" or whatnot. It could be a fully automated data network relay, and it's that big because hyperspace relay just needs the size to open the rift to the hyperspace. It could actually be travel relay, so it has to be big enough to fit the ships that travel through it. And the ships come in and exit inside the sphere. It could have a port for exiting, but nobody really cares to exit here. Or this system could be a protection zone for the natives, and nobody is allowed to show themselves. That could also explain why there maybe was extra effort to disguise the relay as a moon. The relay could also be ancient, the aliens long gone (moved to better technologies, died out, transcended, whatever). Now the relay just sits there, adapting its surface to hyperspace changes, automated repair systems keeping it functional, potentially for as long as the star of the system keeps pumping energy out. It could have really active plate tectonics moving the surface features around, which (as I understand it) would also imply a strong magnetic field and lots of volcanic activity. If your planet is large, its moon could have a ring small of meteors around it, regularly falling into the moon (with no atmosphere to destroy them) and those could also rearrange the craters. The surface of the moon is covered in an exotic lifeform with an exceedingly rapid lifecycle. Colonies of this lifeform grow to cover large portions of the lunar surface in as little as 12 hours, competing for space with surrounding colonies, before rapidly crashing as soil fertility is depleted. No sooner has one colony collapsed, than another has begun its growth on another part of the moon's surface. Wildly unstable plate-tectonics resulting in constant quakes and volcanic eruptions. There's always lava flowing somewhere, ash floating somewhere, and new rocks forming someplace else. Not the answer you're looking for? 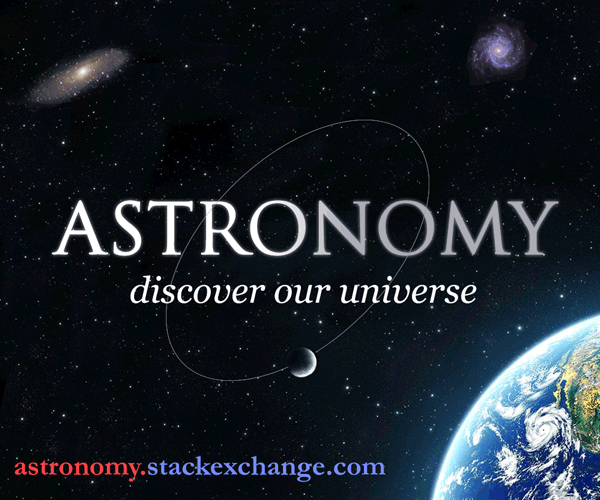 Browse other questions tagged science-based moons astronomy or ask your own question. Always a full Moon for the Emperor - Can this be achieved with solar panels and LEDs? Is this fictional planet possible? With an extra bright moon hanging above us, would stars still be visible in the night skies? Feasible star + planet + moon combo? Did I miss anything that makes this system wildly unstable or otherwise impossible?